[57% OFF] 2019 Printed Plunge Swimsuit In MEDIUM ORCHID | ZAFUL .. This was my first order from Zaful so I was skeptical of the quality but this suit is amazing!!! The material is really nice and the quality is surprisingly great. I’m 5,7, 131 pounds and ordered a M which fit really well. I’d recommend this item! Looks exaclty like the pictures! Super cute! A little smaller than I expected but it still fits! Great quality item for the price you pay! 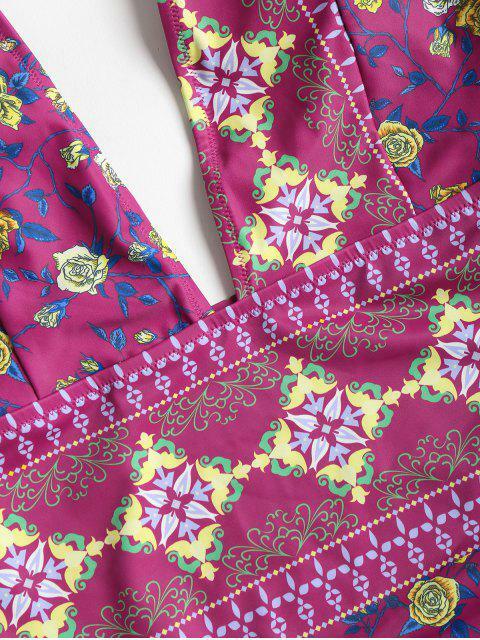 This classic one piece is updated with the ethnic-inspired printed design. Crafted from a technical stretch fabric, the plunge silhouette is complete with padded cups for support. Wear yours with a pair of chic leather pool slides for an on-trend finish.